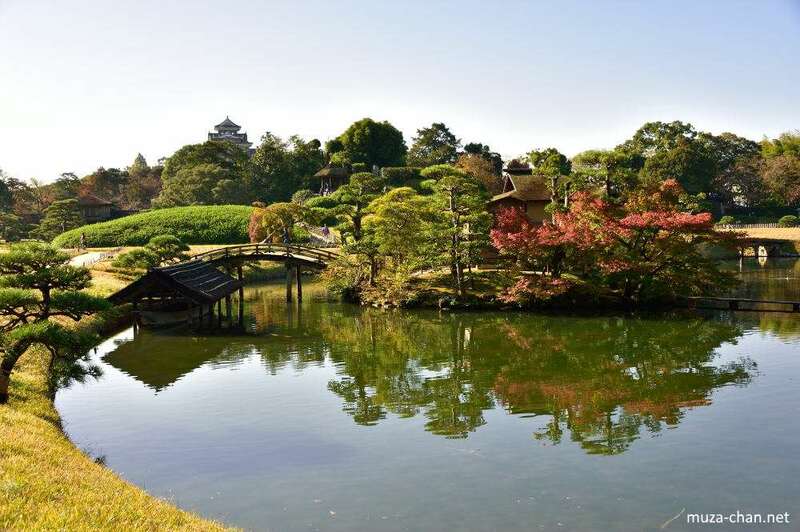 One of the principles used by the Japanese garden designers is to offer something special in every season, by using flowers or evergreen plants such as bamboo or conifers. During autumn, the trees featuring strong colors are certainly the most impressive. Here’s a photo taken this autumn inside one of the most beautiful Japanese gardens, the Koraku-en of Okayama, one of the Three Great Gardens of Japan (Nihon Sanmeien). There are maple, cherry and ginkgo trees, all in autumn colors… Simply beautiful!